Africa Day is celebrated annually on 25 May on the African continent to mark the formation of the Organisation of African Unity (OAU) on 25 May 1963 and the African Union (AU) in 2002 and the progress made by the continent since then to advance democracy, peace, stability and socio-economic development. 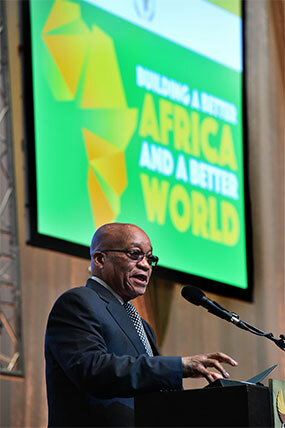 President Jacob Zuma hosted the 2016 Africa Day celebration on 25 May at the Cape Town International Convention Centre, which was the culmination of the celebration of Africa Month in May. South Africa rejoined the continent and the international community in 1994 following the dawn of freedom and democracy. Africa Day 2016 therefore marked the celebration of 22 years since the country’s reintegration into the OAU/AU and the international community. “Africa Day provides an opportunity for us to celebrate our African identity. Our country was isolated for decades from the rest of the continent due to the evil system of apartheid colonialism. We are now a full member of the African continent, and since 1994, our continent is correctly the primary focus of our foreign policy,” said President Zuma. The President recalled that the OAU contributed immensely to freedom in South Africa. “Many countries on the continent provided refuge to many South Africans who went into exile and provided material, social, political and military support. Africa Day thus provides an opportunity to celebrate that African solidarity and to continue expressing it through the ongoing support for many on the continent who are caught up in conflict. It is a day for us to celebrate African solidarity, friendship, a common humanity and destiny,” said the President. Held this year under the theme: “Building a Better Africa and a Better World”, South Africa also used the day to reaffirm support for the AU’s Agenda 2063 and committed the country to playing its role within the AU to ensure the successful implementation of the vision and plan to build a better Africa. President Abbas has visited South Africa twice over the past two years – a State Visit in November 2014 and attending of the African Union Summit in June 2015. President Jacob Zuma hosted President Mahmoud Abbas of Palestine on a Working Visit to South Africa on 25 May 2016. 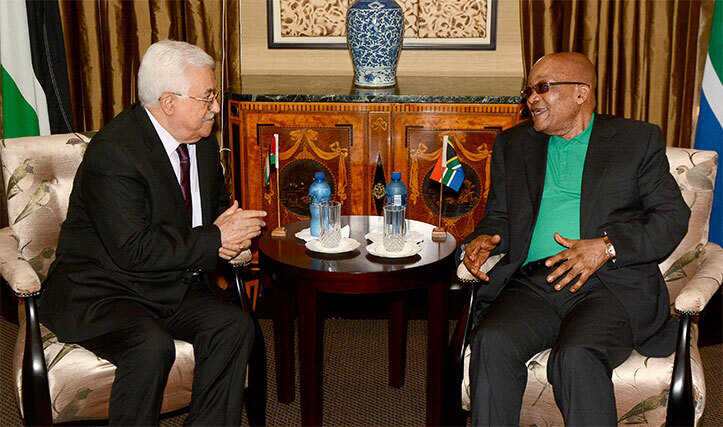 President Abbas held bilateral discussions with President Zuma during which the two leaders discussed a broad range of issues, including the current initiatives aimed at resolving the Israeli-Palestine stand-off. President Abbas’ visit came at a time of heightened tension between Palestinians and Israelis, increased construction of illegal settlements in occupied Palestinian lands, and escalating frustration among Palestinians due to a lack of visible progress on the Middle East Peace Process. South Africa and Palestine enjoy cordial relations that date back to the days of the anti-apartheid struggle. South Africa recognised the State of Palestine in 1995 and was among the more than 200 states that voted for the hoisting of the Palestinian National flag at the United Nations headquarters. The President of Palestine Mahmoud Abbas has invited South Africa to be part of a consultative meeting that has been set up with the aim of resolving the Middle East conflict on 3 June. The announcement was made when President Jacob Zuma hosted President Abbas for high-level and bilateral talks at Tuynhuys in Cape Town, recently. The consultative meeting of foreign ministers, which is an initiative of the French Government, was organised with an aim of ending an impasse between Israel and Palestine, which has led to many civilians losing their lives along the Gaza strip. Briefing journalists shortly after the bilateral, Palestine Chief Negotiator, Saeb Erekat, said following the bilateral, that the Palestine President had asked South Africa to participate in the Paris meeting on 3 June. South Africa has in the past sent envoys to broker a peace deal in the Middle East. “South Africa is a country of peace, South Africa is a country that inspires all of us. We can count on South Africa because South Africa has always stood for a two-state solution, the State of Palestine to live side-by-side with the State of Israel in peace and security,” he said. The 15th Africa-Nordic Ministerial Meeting took place under the theme: "Foreign and Security Policy at a Crossroads: Ensuring Stability and Prosperity in a New Security Landscape”. 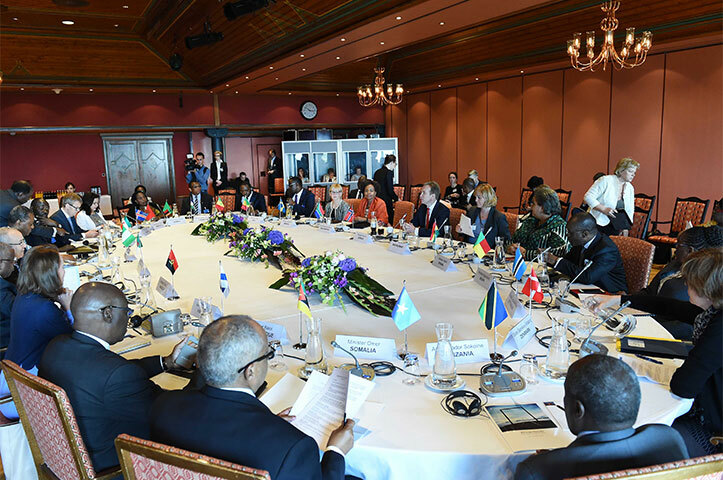 The Minister of International Relations and Cooperation, Maite Nkoana-Mashabane, participated in the 15th Africa-Nordic Meeting of Foreign Ministers from 26 to 27 May 2016 in Oslo, Norway. The first Africa-Nordic Ministerial Meeting, which took place in Sweden in 2000, was initiated as an informal, but frank forum for political exchange, focussing primarily on pertinent development issues, particularly related to Africa. The last Africa-Nordic Ministerial Meeting was hosted by Minister Nkoana-Mashabane in Limpopo from 9 to 10 April 2015 under the theme: "The Africa We Want: Partnership towards Agenda 2063". The annual Africa-Nordic Ministerial meetings are aimed at reinforcing the historical solidarity of friendship and cooperation that exist between the governments and people of Africa and the Nordic countries. Of importance during the summit was the presentation of the Eminent Persons Group (EPG) Final Report, which focusses on the “Future of the ACP Post 2020” under the theme: “Repositioning the ACP Group to Respond to the Challenges of Sustainable Development”. The Minister of Economic Development, Ebrahim Patel, led a South African delegation to the Eighth Summit of Heads of State and Government of the African, Caribbean and Pacific Group of States (ACP), held in the Independent State of Papua New Guinea from 31 May to 1 June 2016. 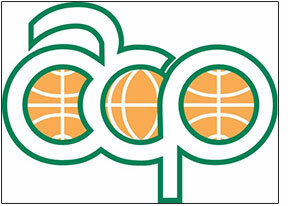 A key element of South Africa’s South-South and North-South engagement is the ACP, which is the largest tricontinental association of developing countries. It was created by the Georgetown Agreement in 1975 and its 79 members comprise 48 Sub-Saharan states, as well as 15 Pacific and 16 Caribbean states, totalling 920 million people. The Deputy Minister of the Department of International Relations and Cooperation (DIRCO), Nomaindiya Mfeketo, recently hosted a stakeholder relations event aimed at promoting awareness of DIRCO’s activities and programmes. The main objective of the PPP was to promote an understanding among South Africans of the aspirations of Agenda 2063 as they pertain to efforts to build "an Africa of good governance, democracy, respect for human rights, justice and the rule of law". Cabinet held its recent meeting on 25 May. Cabinet noted the Africa Energy Inward Buying Mission hosted by the Department of Trade and Industry and the South African Electrotechnical Export Council. South African companies with manufacturing and engineering-service competencies were exposed to representatives of power utilities from Ethiopia, Kenya, Tanzania, South Sudan and Nigeria. This better positioned South African companies to participate in the investment opportunities of the power infrastructure roll-out for Africa estimated at between US$20 billion and US$42 billion a year over the next 10 years. Cabinet appeals to all Lesotho nationals who are residing in South Africa illegally to apply for a Lesotho Special Permit at a Visa Facilitation Service Centre before 30 June 2016. The Lesotho Special Permit was issued under a special dispensation for Lesotho nationals who were working, studying or running businesses in South Africa and had been in the country in such capacity before 30 September 2015. Furthermore, Lesotho applicants who fraudulently obtained South African documents are advised to surrender them to the designated Home Affairs offices to obtain an amnesty letter. This amnesty will expire on 31 December 2016. Employers of Lesotho nationals should also take advantage of this permit. Cabinet was briefed on the conclusion of negotiations and legal scrubbing of the Economic Partnership Agreement (EPA) between the Southern African Development Community Group and the European Union (EU). Cabinet approved that the EPA be submitted to Parliament. The agreement will establish a single trade regime between the Southern African Customs Union and the EU. It will also enhance South Africa’s preferential access to the EU market for a range of agricultural products such as sugar, ethanol, wine, fisheries and fruit. The EPA builds on the Trade and Development Cooperation Agreement that South Africa concluded in 2000 with the EU. The EPA provides South Africa with additional policy space in several areas. South Africa also negotiated a bilateral Protocol on Geographical Indicators with the EU, due to growing interest in protecting wine names and specialised agricultural product names. As such, 102 wine names will be protected under the agreement and three agricultural product names: Rooibos, Honeybush, Karoo Lamb. Cabinet also approved for the Department of Agriculture, Forestry and Fisheries to co-host the World Aquaculture Society Conference, together with the Aquaculture Association of Southern Africa, from 26 to 30 June 2017 in South Africa. This will be the first time that the World Aquaculture Conference is held in Africa. The aquaculture sector has been prioritised by government to play a pivotal role in food security and economic growth of the country. 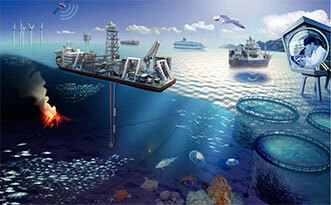 Aquaculture has been included in the key initiative of Operation Phakisa: Ocean Economy. Hosting of this conference will enable South Africa to fast-track development of and investment in the aquaculture sector through information and knowledge sharing as well as networking opportunities. Hosting will also create an opportunity for the tourism sector to showcase the country’s tourism activities and the local farmers will also showcase their technology innovations at the trade show that will cater for more than 100 exhibitors from leading aquaculture nations worldwide. The Minister of Trade and Industry launched a R100-million Dursots & All Joy Tomato Processing Plant in Modjadjiskloof near Tzaneen. The factory currently employs 70 people with a potential increase of 300 by next year. It would also create a further 900 seasonal jobs. The company has also initiated an export structure and plans on exporting 25% of its products to the Middle East, China and the rest of Africa. Cabinet congratulated the South African recipients, entrepreneur Luvuyo Rani and The Clothing Bank, who were among the winners of the 2016 Social Entrepreneurs awards by the Schwab Foundation for Social Entrepreneurship, which was presented on the fringes of the World Economic Forum Africa, Kigali, Rwanda. The opening of the plant, which will manufacture new Toyota Hilux and Fortuner models, is part of Toyota’s injection of a R6,1-billion investment into South Africa’s manufacturing industry and the country’s local vehicle production. President Jacob Zuma recently officially opened a new Toyota Hilux and Fortuner manufacturing plant in Prospecton, Durban. During the State of the Nation Address in February this year, President Zuma announced that the support provided by government through the Department of Trade and Industry had attracted investments of over R25 billion in the automotive industry in the past five years and that the investment was beginning to bear fruit. The investment by the Japanese manufacturer Toyota is a demonstration of the continued confidence that global automotive producers has in South Africa as an investment destination and the supportive policy environment that the country offers. President Zuma launched the manufacturing plant as part of the implementation of the Nine-Point Plan that he announced last year to grow the economy and create jobs. One of the pillars of this plan is a higher-impact Industrial Policy Action Plan that focusses on increasing manufacturing-based value addition, employment creation and export-intensity. The investment in the production of the new Hilux and Fortuner vehicle models will support more than 4 000 jobs while total employment in the plant already exceeds 8 000 jobs. The International Centre for Genetic Engineering and Biotechnology (ICGEB) plays an important role in biosafety-related issues and in the environmentally sustainable use of biotechnology. 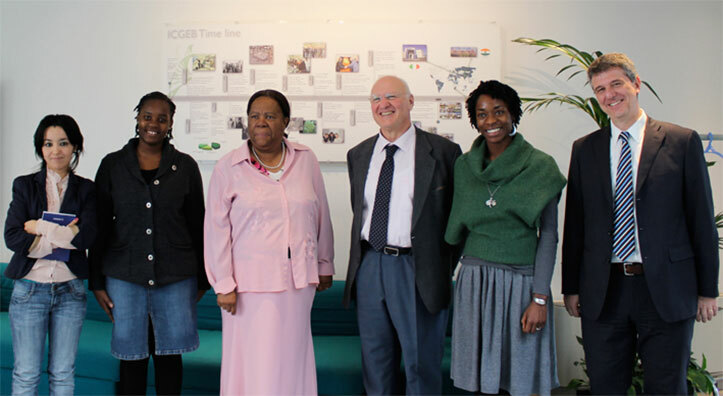 The Minister of Science and Technology, Naledi Pandor, on 24 May, delivered the opening address at the 22nd Session of the ICGEB at the Cape Town International Convention Centre. The centre provides an online, bibliographic database on biosafety, and a search mechanism on risk assessment for the release of genetically modified organisms. It is active in enhancing the safe and peaceful use of biotechnology and is promoting the adoption of ethical codes for researchers working in the life sciences, while developing original policies for intellectual property in this field. 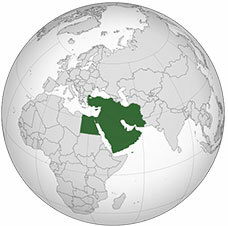 In addition, technical advice is provided to member states on request for the formulation of national bioscience policy, the definition of research goals, the development of national bio-industries, and the establishment of national biotechnology laboratories. Rural Development and Land Reform Minister, Gugile Nkwinti, envisages that the Ocean Economy and Infrastructure will potentially boost South Africa’s gross domestic product (GDP) starting from 2019 to 2030. He envisaged that the South African Ocean Economy would boost the country’s GDP by R26 billion, to create 65 000 jobs. The Minister said that when he recently participated in a debate on the country’s economy under the theme “Building Collective Action for Inclusive Growth”. He said this would be achieved through the three main sectors, which included marine transport and manufacturing, off-shore oil and gas exploration and aquaculture. He envisaged that, through marine transport and manufacturing, the contribution to GDP would increase from R7 billion to between R14 billion and R23 billion by 2019, creating between 40 000 and 50 000 jobs, jumping off 6 000 jobs at present with the 30% market share contribution to South African companies. “With regard to off-shore oil and gas exploration, we will promote exploration in order to drill 30 exploration worlds in the next two years. “With regard to aquaculture, we envisage that the GDP contribution will jump from R0,7 billion to R3 billion and jobs created will increase from 2 227 to 15 000,” he said. The Minister of Labour, Mildred Oliphant, recently led a tripartite South African delegation to the International Labour Organisation (ILO) meeting at the International Labour Conference (ILC), held every year in June in Geneva, Switzerland. the impact of the ILO Declaration on Social Justice for a Fair Globalisation and also to consider amendments to the Code of the Maritime Labour Convention and review the report of the Director-General on poverty. 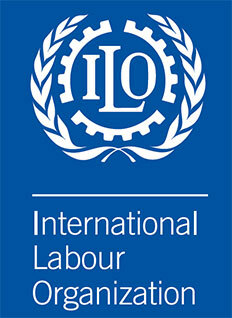 The ILO was founded in 1919 as a specialised agency of the United Nations to set labour standards, develop policies and devise programmes promoting decent work for all women and men. The Minister of Environmental Affairs, Edna Molewa, participated in a high-level segment of the Second United Nations Environment Assembly (UNEA-2) in Nairobi, Kenya, on 25 May. The two-day UNEA-2 was held under the theme “Delivering on the Environmental Dimension of the 2030 Agenda for Sustainable Development”. The UNEA is a decision-making body of the UN Environment Programme and has the universal membership of all 193 UN member states. UNEA provides a platform for leadership on global environmental policy. This year’s assembly reflected on the latest global, regional and national developments related to the environment. It also provided the first global platform for reviewing progress on sustainable development goals, particularly their environmental dimensions and will culminate in the adoption of a number of resolutions. The volume of arrivals and departures increased for both South African residents and foreign travellers between March 2015 and March 2016, Statistics SA said recently. At the same time, the volume of transits decreased for South African residents but increased for foreign travellers. In March 2016, there were 1 435 879 foreign arrivals to South Africa. The arrivals were made up of 90 792 non-visitors and 1 345 087 visitors. The visitors consisted of 440 493 same-day visitors and 904 594 overnight visitors (tourists). The breakdown of the tourists by region shows 235 640 from overseas, 653 598 from the Southern African Development Community countries, 14 422 from "other" African countries and the country of residence of 934 tourists was classified as unspecified. A comparison between the movements in February 2016 and March 2016 indicates that the volume of arrivals, departures and transits increased for both South African residents and foreign travellers. The volume of arrivals for South African residents increased by 36,2% (from 330 895 in February 2016 to 450 637 in March 2016); departures increased by 44,2% (from 336 167 in February 2016 to 484 750 in March 2016); and transits increased by 17,3% (from 618 in February 2016 to 725 in March 2016). For foreign travellers, the volume of arrivals increased by 11,7% (from 1 285 698 in February 2016 to 1 435 879 in March 2016); departures increased by 16,4% (from 1 139 669 in February 2016 to 1 326 244 in March 2016); and transits increased by 19,3% (from 51 211 in February 2016 to 61 087 in March 2016). As for tourism accommodation, measured in nominal terms (current prices), total income for the tourist accommodation industry increased by 11,9% in March 2016 compared with March 2015. Income from accommodation increased by 13,7% year-on-year in March 2016, the result of a 4% increase in the number of stay unit nights sold and a 9,4% increase in the average income per stay unit night sold. In March 2016, the types of accommodation that recorded the highest year-on-year growth in income from accommodation were: caravan parks and camping sites (31,4%); "other" accommodation (18,7%); and guesthouses and guest farms (15,2%). The Minister of Tourism, Derek Hanekom, says a collaboration with the private sector has led to the creation of a fund that will help the tourism sector bid for international events. The Minister said this when he participated in a debate on the economy in the National Assembly recently, under the theme “Building Collective Action for Inclusive Growth”. Minister Hanekom said maintaining partnerships with the private sector was key to boosting the sector’s competitiveness as well as unlocking investment in the country. He said the fund was formed after the department held two productive meetings with CEOs of top companies recently. Joint working groups have been established to find new and innovative ways to capitalise on the immense opportunities to grow the sector and create more jobs and life-changing opportunities for our people. “This engagement has already resulted in the creation of a collaborative fund to support our bids for international conferences, meetings and events. This is an immensely important component of tourism and we are becoming extremely competitive in this area,” he said. Canada is receiving the aid of 301 South African firefighters to assist the Canadian Interagency Forest Fire Centre (CIFFC) in the country’s wildland fire suppression efforts in the province of Alberta. "CIFFC have sent a formal request for assistance to their international partners, including Working on Fire," Working on Fire said in a statement. "Firefighters left on Sunday, 29 May, on a Canadian Airways plane chattered by Canada. “There a number of priority fires that require human resources, especially the Fort McMurray, Alberta fire, with more than of 500 000 hectares already burnt,” it said. Working on Fire said it had been praised for its integrated fire-management services and products which were successfully implemented in Chile and Australia. 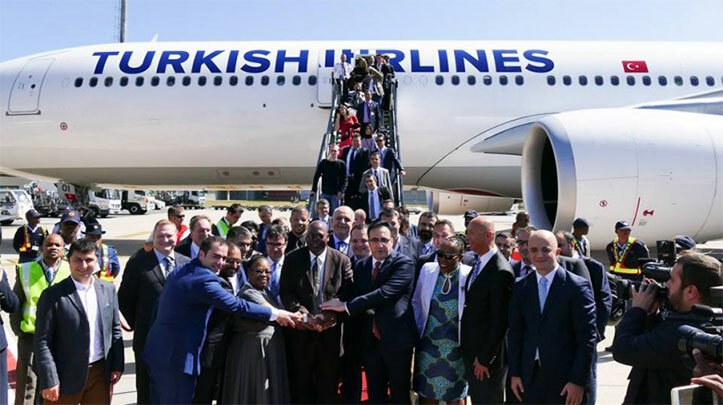 Turkish Airlines will be increasing flights to between Durban's King Shaka International Airport and Istanbul's Atatürk Airport come 31 October 2016, for the duration of the South African summer up until 25 March 2017. The airline will increase Istanbul flights from four flights to five flights per week. 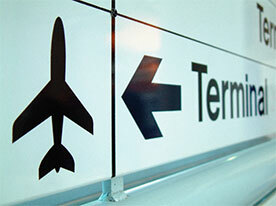 During the same time last year, the airline increased operations from three to four flights per week. 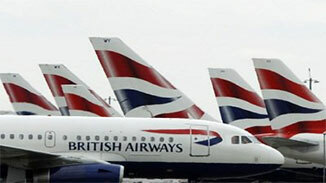 British Airways (BA) has added two more flights to its already expanded Cape Town summer schedule, bringing the number of summer flights between Cape Town International and Heathrow Airport to 19 per week. The airline normally increases its daily Cape Town-Heathrow schedule to a double-daily service over the busy southern hemisphere summer. In March this year, it announced that it would be adding three more flights from Gatwick to Cape Town, commencing 24 November 2016. Now it has further expanded the schedule, adding two more Cape Town-Heathrow services from 1 January to 9 January 2017 and 3 February to 27 February, to keep up with the high demand. BA announced that during summer there would be 16 weekly Boeing 747-400 flights between the Mother City and London and three Boeing 777-400 Gatwick services. “The capacity increase is in response to demand on the route, which in no small part is due to the excellent job that’s being done to market Cape Town and position it as a top international leisure destination,” Edward Frost for BA says. Travellers from the United Kingdom make up the biggest proportion of travellers into South Africa, with a total of 407 486 Brits coming into the country in 2015 alone. Travel into South Africa is highest during summer, during the northern hemisphere's winter. BA is the only carrier to serve Cape Town directly from London year round and during the summer peaks will offer over 6 000 seats a week on the route. Come 27 June this year, Johannesburg will become the second long-haul destination in Singapore Airlines’ route network served by the latest-generation Airbus A350-900 fleet. 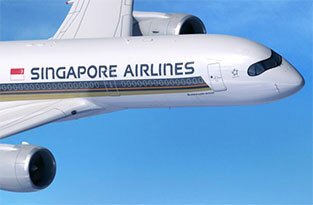 The A350 will initially be deployed on flights serving the existing Singapore-Johannesburg route on Mondays, Thursdays and Saturdays, leaving Changi Airport at 02:10 and arriving in Johannesburg at 06:55. The frequency of A350-900 services will progressively increase to cover all seven weekly Johannesburg flights, including four weekly flights which continue to Cape Town, the airline says. Logos Hope, the world’s largest floating library, recently docked in East London. In March, the library and book fair made its first-ever stop in South Africa at Durban Harbour. 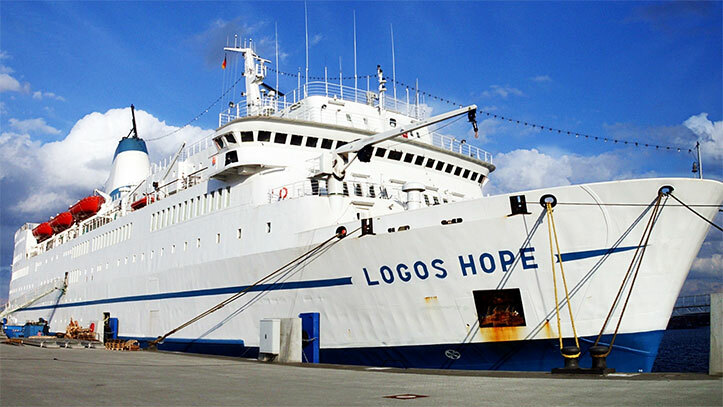 Logos Hope is an international non-profit organisation, registered in Germany, which has – since 1970 – received more than 45 million visitors from over 150 countries and territories around the world. It sails around the world, sharing experiences with people, and reaching out to local communities in need. Approximately 400 people are on the boat, from at least 16 different countries who live together and help each other. One of the ship’s main projects involves water purifiers and donating filter systems to orphanages, schools and villages that don’t have access to clean drinking water. South Africa’s exhibit at the Chelsea Flower Show has won a gold medal‚ the country’s 34th in 41 years of participation at the prestigious annual event in London. The exhibit‚ which showcased the flora of the Harold Porter National Botanical Garden in Betty’s Bay‚ used flowers from the coastal fynbos. It was intended as a "gateway" to the wider Kogelberg Biosphere Reserve‚ which is at the heart of the Cape Floral Kingdom. "The reserve is a place of such natural beauty and complex floral diversity to be recognised as perhaps the world’s greatest biodiversity hot-spot. It was a privilege to be able to recreate such bounty here at Chelsea‚" South African National Biodiversity Institute CEO, Tanya Abrahamse, said. This win marks a rebound for designers David Davidson and Ray Hudson‚ who have created South Africa’s exhibits for 23 consecutive years. Last year‚ some of South Africa’s plants were delayed at British customs‚ which left the team scrambling to complete the exhibit. South Africa won a silver gilt award. The gold medal and the exhibit’s popularity at the show‚ which drew about 150 000 visitors‚ will be a boost for the Kogelberg Biosphere Reserve‚ whose management hoped to drum up interest and possible investment at the show. More used to hosting canoeing enthusiasts, Keurbooms River Nature Reserve has instead became a haven for pirates! The United States TV series Black Sails has colonised the area, shooting scenes for its fourth season. This following a fire that engulfed the series' main production set at the Cape Town Film Studios, causing massive damage in which at least one of the Black Sails ships burnt. 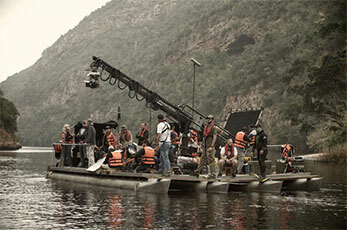 According to CapeNature, who manages the nature reserve, the filmmaker chose the area to film water-borne scenes reminiscent of jungle or island settings. 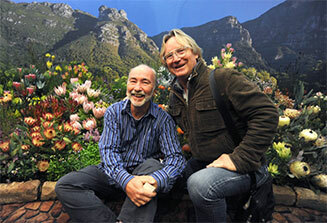 Series’ location manager Mick Snell told CXpress these “beautiful areas” of the Garden Route were ideal for shooting the scenes. A small cast and crew of 200 trekked up the N2 to Plettenberg Bay, where they based themselves for two weeks to shoot the special scenes. Of all the locations used, Snell described Keurbooms as his favourite. Situated in the heart of the garden route, the Keurbooms River Nature Reserve is just a few minutes’ drive from Plettenberg Bay. The river itself is located in a dramatic valley, winding its way past indigenous forest and presenting dramatic views on either side. 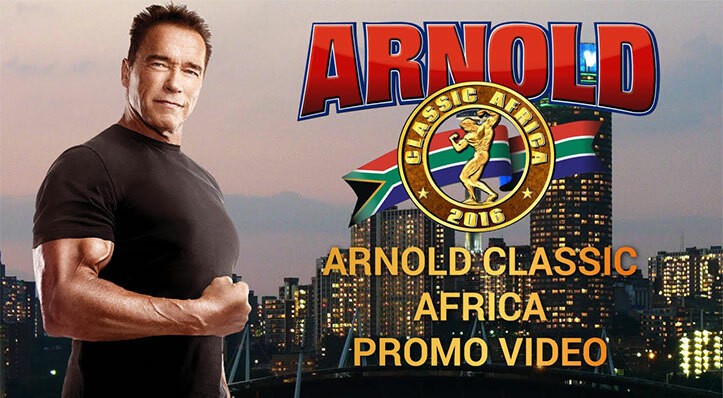 Hollywood star, seven-time Mr Olympia and former Governor of California, Arnold Schwarzenegger, was in South Africa recently for the inaugural Arnold Classic Africa 2016, which showcased some of South Africa’s top boxing talent along with 46 other sports codes. The three-day event at Sandton Convention Centre hosted six fights, including three title fights contested over the 10 rounds. The tournament was headlined by Patrick Malinga and Ashton Whiteboy for the vacant World Boxing Association (WBA) Pan-African interim lightweight title. The Arnold Classic was first launched in the United States as a professional bodybuilding competition in 1989 but has since expanded to create an international series of multi-sport festivals, driven by Arnold Austrian-born Schwarzenegger. South Africans dominated the top spots in the recent Comrades Marathon. South Africa's David Gatebe broke the “down” record in this year's Comrades Marathon. Gatebe, running for the TomTom Athletics Club, stopped the clock in a time of 5:18.19, breaking Russian Leonid Shvetsov's 2007 record of 5:20.49. 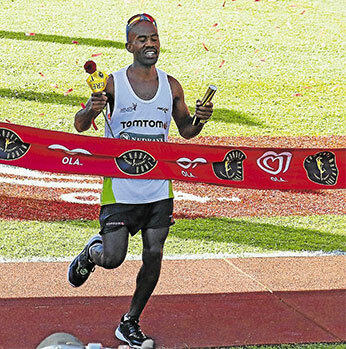 Gatebe, who won the Old Mutual Two Oceans Marathon in 2013, pocketed R1,14 million for his efforts – R400 000 for the victory, R400 000 for the new record, R190 000 for being the first South African home – and a bonus of R150 000 for being a South African winner put up by the Department of Sport and Recreation South Africa. Fellow South African, Ludwick Mamabolo, finished second in a time of 5:24.05, with another local runner, Bongmusa Mthembu, in third in 5:26.39. 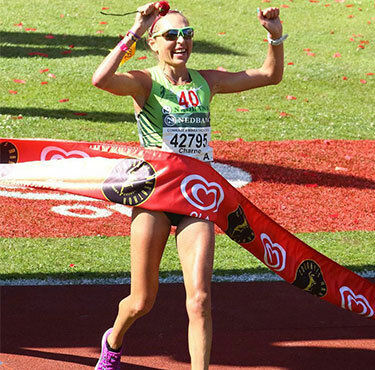 In the women’s race, South African Charne Bosman overtook defending champion Caroline Wostmann in the final few kilometres to win a thrilling 2016 women's Comrades in a time of 6:25.55. Springboks coach Allister Coetzee has included nine uncapped players in his 31-man squad that will face Ireland in June. 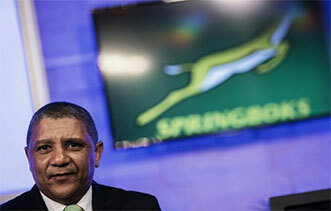 Allister Coetzee announced his first Springbok squad for next month’s Incoming Series against Ireland. The Springbok squad is convened in Stellenbosch where they will camp ahead of their season-opener against Ireland on 11 June at Newlands. Garth April, Ruan Combrinck, Damian de Allende, Lood de Jager, Faf de Klerk, Pieter-Steph du Toit, Eben Etzebeth, Nic Groom, Elton Jantjies, Steven Kitshoff, Siya Kolisi, Jaco Kriel, Jesse Kriel, Patrick Lambie, Willie le Roux, Francois Louw, Frans Malherbe, Lionel Mapoe, Bongi Mbonambi ,Tendai Mtawarira, Lwazi Mvovo, Sikhumbuzo Notshe, Scarra Ntubeni, Trevor Nyakane, Rudy Paige, JP Pietersen, Julian Redelinghuys, Jan Serfontein, Adriaan Strauss, Duane Vermeulen, Warren Whiteley.